The PAW-mazing Race – Nevada Humane Society | With Shelters located in Reno, and Carson City, the Nevada Humane Society Caring is a charitable, non-profit organization that accepts all pets, finds them homes, saves their lives, and is recognized as a leader in animal sheltering and stewardship. Love Animals? Looking to have fun? Connect? Improve teamwork and communication? Look no further. 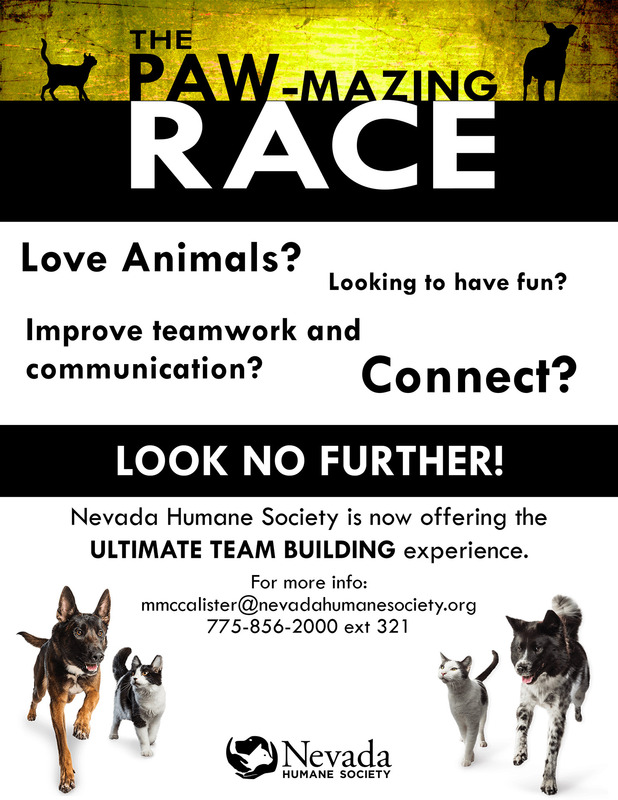 Nevada Humane Society is now offering the ultimate teambuilding experience. Groups will come to the Nevada Humane Society Longley location for 3 hours of fun. Lastly, the group will split into teams to compete and complete the NHS PAW-mazing Race! Interested in booking your teambuilding session?